I created this Contact Me page because I enjoy talking with fellow home computer users and professionals in all areas of IT. Ask a question or send me a comment by completing the form below or Tweeting (Opens New Window) your question. I'll be more than happy to answer. I have also set up an eComputerZ Business Page (Opens New Window) on Facebook where you can contact me and see lots of other stuff computer related, including my Pinterest images (Opens New Window). Don't forget the subscribe to the eBits n ByteZ Newsletter. Simply complete the form in the right hand column. If you have any comments, opinions or content ideas for the newsletter I would love top hear from you. Read other visitors submissions and my answers below. Send me your ideas, feedback, thoughts and opinions on this site or anything at all computer related. If you just want to leave a quick comment about your experience of my website please do so in the Facebook Comments box at the bottom of this page. I Consent To You Using My Information To Respond To My Question Or Comment That I Have submitted To You By Completing This Form, And I Consent To You Publishing My Question Or Comment On This Website. Whose BIOS Do I Use? Contact Me Question: I have a dell inspiron 546, AMD Processor 64 bit, Windows 7. I installed a PCIe graphics card for the extra monitor connection. When I turn on computer the POST is interrupted with an AMI screen, "unsupported video configuration", Press F1 or F2. F1 continues with normal boot and both monitors work correctly. Is there any way to edit the POST to remove the halt command or update the BIOS to allow for dual monitors? This is usually a classic message when one monitor is plugged in to the new graphics card, and the second monitor is still plugged in to the integrated motherboard graphics card. If the PCIe graphics card has the option for a second monitor (most new PCIe graphics cards should) then plug your other monitor in to it, and disable your integrated motherboard graphics card in your BIOS. Hopefully this will do the trick. You can't amend the POST messages easily. Contact Me Question (Fancais): Bonjour, Je viens d'acheter un pc portable ( Archos cesium 140) avec bios Aptio American Megatrends (2013-2015) Os : windows 10 en 32bits. Ma question: Désirant installer un autre, OS :système d'exploitation : Seven) il faudrait que je puisse booter à partir de ma clé usb ,car pas de lecteur cd /dvd sur ce pc portable. Hors je ne sais comment y parvenir (je ne lis, ni ne parle l'anglais) et il y a plein d'options, pourriez vous m'indiquer les manipulation à exécuter : pour booter depuis une clé usb. Contact Me Question (English Translation): Hello , I just bought a Laptop ( Archos cesium 140) with Aptio BIOS American Megatrends ( 2013-2015 ). OS : Windows 10 32-bit . My question: Wishing to install another OS : Windows 7) . I want to boot from my USB pen, but don't have the CD / DVD. I do not read, or speak English. Could you tell me how to execute the install of Windows 7 by USB pen? Désolé pour la réponse tardive. Aussi mon français est tellement mauvais que je l'ai écrit une réponse en anglais et utilisé Google translate en français . J'espère que cela a encore un sens! Vous avez raison qu'il existe plusieurs façons d'installer Windows 7 sur une machine Windows 10 et 'double boot' when première mise en marche à savoir Vous êtes présenté avec un choix de système d'exploitation à charger . Je suppose que vous avez les fichiers source de Windows 7? Sinon, vous pouvez charger Windows dans un environnement virtuel sur votre machine. Jetez un oeil à la section Environnement virtuel sur cette page. Sorry for the late reply. Also my French is so bad I've written a reply in English and used Google translate to French. I hope it still makes sense! You are correct in that there are several ways to install Windows 7 on to a Windows 10 machine and 'dual boot'when you first switch on i.e. You are presented with a choice of which operating system to load. If you want to remove Windows 10 and install Windows 7 using a USB stick, follow this excellent tutorial (Opens New Window) for the USB stick preparation part. I assume you have the Windows 7 source files? Alternatively you could load Windows in to a Virtual Environment on your machine. Take a look at the Virtual Environment section on this page. Contact Me Question: I need to enable Hardware Assist Virutalisation in my BIOS. I have an AMB Athlon 11 x2 245 2.90GHz Motherboard which has this facility. I cannot find the place where this is done. Can you give the the string and the words I am looking for at the Business End please? Is it as straightforward as this on your machine? Let me know. 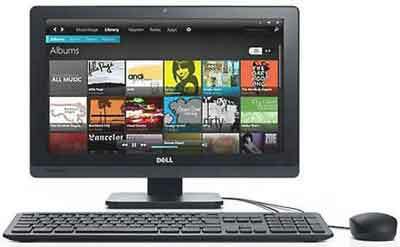 Contact Me Question: I have this Dell Inspiron One 2020 desktop. While I was updating my computer programs I get a power outage. Now my computer is not booting up. Just the power light button is on. Can you advise what it is you were updating during the power outage - Windows O/S? Applications? BIOS etc? Can you get to the stage where you can press F2 and get into the BIOS/UEFI and check whether the hard drive is detected? Could be several issues, including faulty monitor and Power Supply Unit (PSU). If the latter try unplugging your machine from the wall for 10 minutes then plug back in and switch on. Sometime a cold boot resolves such issues. However one of the most common issues after a power outage is a faulty hard disk drive. Let me know what you see on screen when you switch your machine on (if anything) or what beep noise you hear and we'll take it from there. Contact Me Question: Hi. Please help! For over a week now, when I start my computer, it flashes the bios american megatrends. It just flashes a sec... not even long enough to read what it says. I noticed my computer is taking longer to start up, and sometimes I have to put my password in twice at start up. As your date and time is wrong it immediately suggests an issue with your computer's CR232 Lithium Ion battery, located on the motherboard. What make/model of machine do you have and how old is it? Debbie replied to the question about the make/model of her machine with: 'HP Mini Notebook 110 I think. It's about 4 years old'. My Reply: PC's and Laptops usually last longer before their batteries start to fail. However that doesn't mean in all cases. I think it's a good idea to replace the battery anyway. All the issues point to this being a probable cause of your troubles. I thought this screen resolution was compatible with this version of AMIBIOS. If you are using the integrated video card on your Motherboard (i.e. the 82945GSE chip) this can only cope with a maximum of 1600X1200 screen resolution for flat panels. If you have managed to resolve your issue I would be interested in knowing how you did it. As far as I can tell the solution would be to buy a graphics card capable of the resolution you require. Contact Me Question: I would like to restore my Dell PC to the original factory settings. Can I do it and how can I do it if possible? Resetting your Dell computer to its original factory settings is generally straightforward. Click this link for your Operating System. The above links don't appear to be aimed at any specific Dell model, therefore I assume they are safe to follow irrespective of what device/model you have. The Factory reset works because the Operating Systems source files, or a clean 'image' of the O/S are stored on a hidden partition on your hard drive. When you select the restore option in the BIOS it invokes a format (or wiping) of your hard drive and either re-installs the O/S or re-applies the image. This is why the articles start by recommending you backup all of your data files first. You can do this by copying them to CD/DVD, or if you have a large amount of data, by copying them to a USB pen, external hard drive or even uploading them to a cloud based solution e.g. OneDrive or Google Docs (Both Open New Windows). The process is strightforward. I hope this helps. If you need any further information let me know. Contact Me Question: I am trying to help a friend with his computer. It is a Dell Inspiron One 2020. The problem is it evidently has a BIOS/CMOS password on it and I cannot enter BIOS. Bios Setup >> When I click on this the password box pops up and I can go no further. Diagnostics >> When I click on this it can do all the diagnostic tests fine but when I finish and reboot, I'm faced with the same problems. Change Boot Mode Setting >> When I choose this the password box pops up. If I pushed F12 before a different box would come up and I actually could choose the CD option but no more. I'm totally at a loss and desperately need some assistance, please. Did you take the battery out before you re-seated the jumper?The order in which these things are done can be of the utmost importance. Take a look at this DELL Inspiron N5050 remove BIOS Password video tutorial (Opens New Window). It is not for a 2020 but shows another method for resetting BIOS passwords which includes touching the BIOS chip with a screwdriver. May work for the 2020. Alternatively, you can simply contact Dell and ask them how to reset the BIOS password. try Dell Chat first (Opens New Window). Dell are usually helpful, and I can't see why they would not help you to remove a password you have forgotten on your machine. Contact Me Question: What a great site! I'm replacing my Windows XP hard drive and will be using the original OEM XP Home disks. Can I upgrade to SP3 directly or do I need to start from SP1 and then SP2. Thank you very much. Thanks you for your kind comments. You need to have SP2 installed first before you can install service Pack 3. You could install service Pack '1a', but ideally you will have access to SP2. Check your CD. It may already include SP2. I would also advise you install offline (Download the full Service Pack(s). This is because there is a risk of being hit with all sorts of Malware and port scanners which are always probing for vulnerable machines online. Once you have Service Pack 3 installed, apply all of the security patches through Windows Updates. I hope this helps. Good luck with your upgrade. If you need anymore help let me know. Question or Comment: My on-board USB ports are not working. Thus I cannot use the keyboard and the mouse. What should I do? Re-installed or upgraded their Operating System, Device Drivers etc. You can try all of these, but the one thing that tends to work more often than not is to simply power down your computer, switch off the power supply (if it has a switch) and unplug from the main power (take the plug out of the socket). Leave it for 30 minutes to 45 minutes, then power back up. It sounds silly I know but it is a tried and tested solution to this problem. I hope it works for you too. Question or Comment: I have been getting a lot A LOT of blue screen error messages. I don't know what's going on. I recently upgraded from Vista 64bit to Win7 64 bit. I also know that my computer's BIOS is dated. How can I update the BIOS AND fix the blue screen errors???? Thank you for your message. 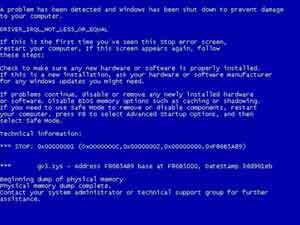 I'm sorry to hear you having lots of issues with the dreaded Blue Screen of Death (BSOD). There are several reasons why BSOD occurs, ranging from device driver faults to programs overwriting other programs in the computers memory space(RAM). I've seen lots of issues with upgrades from Vista to 7. The upgrade process seems to be straightforward (although I have seen some complaints of BSOD during the upgrade process). However, Vista was fraught with problems and some of these problems could be manifesting themselves in Windows 7. If you have a named computer (HP, Dell, Packard Bell etc.) I would go to their website and looks for your computers model in the Support section. Look for Flash BIOS downloads and follow the suppliers instructions to get your machine to the latest version. If you have a custom built PC, use a program such as the Belarc Advisor to identify your motherboard type, then to the manufacturers website and apply the latest BIOS version. After you upgrade your BIOS you can see if the BSOD issues disappear. If the BSOD is device driver related you may have some success. I think it is good practice to keep your BIOS up to date (but you need to know what you are doing). However, what I would advise my clients is to backup all data files and install Windows 7 from scratch. In my experience upgrades from one Operating System to another always seem to result in issues which are difficult to pinpoint and resolve. A clean install of the latest Operating System save you time and problems in the medium/long term. American Megatrends BIOS Update: AMI Specific but the principles of a BIOS upgrade apply across BIOS types. How To Install XP: Pre-requisite Considerations: Applies to XP but again the principles apply to Windows 7. If you like you can send me your BSOD error message and I will look into it in a bit more detail - see if we can identify exactly what is causing the problem. There are 2 options to choose from on my screen. If I starts windows normally or choose the other option they just send me back to the same screen. What is the problem and what can I do? I am sorry to hear you are having problems. Error codes, especially Windows Operating System error codes, are never easy to interpret. You don't mention the make/model of your computer, or the Windows Operating System version you are running (I'll assume Windows 7). I've done some research and have a couple of things I suggest you try. I'll assume suggestion 4 is not the problem. However, quickly check your CD/DVD drive to ensure there is no blank CD media, or CD media in the wrong way round. A. Boot your machine with the hardware diagnostics or repair CD that it come with. run the full hardware diagnostics test to see if anything comes back faulty. The /r switch identifies any bad sectors on your hard drive and attempts to retrieve the information stored on them. Unfortunately quite often this does not work. If bad sectors are found backup any data you can and replace your hard drive ASAP. Call your computer provider if your machine is still under warranty. The /f switch attempts to fix any errors found on your hard disk. A. Unplug all peripherals such as your printer, scanner, USB sticks etc. Restart your computer to see if the error message re-appears. If it doesn't re-appear, plug each peripheral device back in, one at a time, restarting your machine until the error re-appears. When it does you have found your problem. B. Boot your PC (F8 again) to Safe Mode and attempt to install the latest Graphics Card Drivers for your machine. This will rule in or out a driver corruption issue. C. Open up your computer and re-seat your RAM sticks. Sometimes this miraculously fixes some issues. A. Remove your Wireless card. Reboot your machine and see if solves the problem. Also try re-seating it into an alternative slot on your motherboard. Restart your PC to see if the issue is resolved. B. Do the same for other internal components such as Sound Card, Graphics Card etc. and especially the CD/DVD drive. This approach usually rules in or out each component. If you just can't get past the screen with the options presented, see if you can get your hands on a System Repair disk. See if you can perform a System Restore or System Recovery. I hope one of these suggestions helps you to resolve your problem. Question or Comment: I downloaded a new version of anti virus. After complete this I had the message that it was succesfully and completed. The strange thing is that it was completed not with my IP number but a different one. I have seen this IP number before. After research this I found out the IP number belongs to provider in Eastern Europe. So it seems that I have two numbers or is this hacking or something like that and what can I do? Thank you for your e-mail. I must admit this one has got me stumped! The only thing that springs to mind is simply the Anti Virus download was hosted on a Server in Eastern Europe, or your request to download was re-routed to an Eastern European host that is in closer proximity to where you live (than the download hosted in the USA, for example). However, are you allocated a static IP address by your Internet Service Provider? If this is the case and the IP address has changed to an alternative providers Subnet, then I would call your provider and query them about it. There are lots of ways to track down unknown IP addresses, but the chances are there is nothing to be concerned about. However it is always best to be certain. At least your provider can either confirm or alleviate your concerns. If there is an issue here they should be able to rectify the situation or talk you through a resolution. 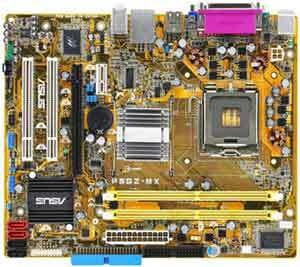 Question or Comment: I have a 2007 locally built desktop with an ASUS P5GZ-MX motherboard and Intel Pentium D dual processor at 3.0 GHZ. I need to update the BIOS, but I'm confused. The BIOS is from American Megatrends, Inc. The MB is ASUS. Who's BIOS do I use? Thanks for contacting me. I think since you have a ASUS Motherboard you should apply the latest ASUS BIOS for that particular Model of Motherboard. The AMI site provides BIOS upgrades for their own motherboards. Companies such as ASUS customise the AMI BIOS for their own motherboard models. From the information you have provided the link below seems to point to your Motherboard. If this is correct, from here, you can select your Operating System and apply the latest BIOS from the resulting menu. 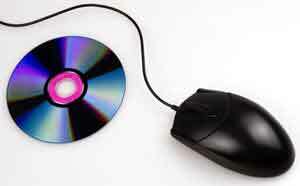 Question or Comment: Why do I see a CD sign next to my cursor even though the CD is not inserted in the drive? Thank you for contacting me. This is an interesting one as there is very little in the IT forums about your problem. If you have made any changes to your cursors, go to Control Panel > Mouse Properties and change your scheme to None. Does this resolve the issue? If so, you can change the scheme back to something of your choice. Run Scandisk or CHKDSK. This fix makes some sense as it resolves issues with the File System which could be linked to your issue. Thank you for your help. It worked..!! Question or Comment: I have placed order on September 26th for a Desktop Inspiron One 2020 via the Internet, but so far I have still not receive the product. How can I move the order along? My advice to you is find your order number and phone or e-mail the Company you bought the Dell Inspiron from. Ask them what the delay is and when they think the machine will be delivered to you. 3 weeks from the day you ordered your Computer is a long time. Unless whoever your bought it from stipulated a prolonged delivery lead-time, I would expect your order to be with you by now. If this is not the case let the Company know you are not happy with their level of service. As a paying customer you expect better! I hope this advice serves you well. Question or Comment: Thank you for your effort. It is a really amazing answer for me. I will try all of your advice. I have one question: Please can you tell me some names of those programs to recovery the BIOS password on Sony VIO VPCCW2TGXB 64bit? Alan replied to a response I made to a web page he wrote about Resetting Forgotten BIOS Passwords (Opens New Window). I'm pleased to hear you find the information on your personal web page enlightening. It was a pleasure to write the response to you! BIOS Password Recovery (Opens New Window). This is a commercial product you pay for. However if you decide to go with this one I would contact support first to confirm it is compatible with Windows 7. It lists compatibility up to Vista only. CmosPd and KillCMOS (Opens New Window). Listed on this page is 2 free software programs: CmosPwd and KillCMOS. Before trying these it would be worth trying the list of known master BIOS Passwords listed for your BIOS type. One just might work! iBIOS (Opens New Window) is a link to the !BIOS tool. According to some of the IT Forums this tool works quite well too. Question or Comment: Thank you, Stephen. You said that sometimes Trusteer Rapport isn’t really uninstalled. After I uninstalled it, I did file searches for “rapport” and “trusteer” and removed a few leftover files. I just did another search, and couldn’t find any more files. Beyond that, what can I do? Cynthia replied to a response I made to a web page she wrote about Trusteer Rapport (Opens New Window). Follow the instructions in the following link: Trusteer Support: Remove Rapport Folders (Opens New Window). Ensure no Rapport Services are loading. Go to Control Panel/Administrative Tools/Services. Look for any services beginning with Trusteer or Rapport. Run a utility called CCleaner (Opens New Window). This clears out all of your computers temporary files and internet files, which is often a source of web browser performance issues. Run the Registry scan option in CCleaner to see if any Trusteer Rapport registry keys appears. These can also be removed, although be VERY careful when changing your registry in this way. Autoruns helps you to stop anything unnecessary that is loading at start up (also a performance improvement tool). Some of the tools highlighted can take a little while to understand. However you sound like you know your way around things so I think you will be OK.
Wow. Thanks for all the helpful advice. I went to the Trusteer site and checked the four locations it listed, but I had already found all the files. Administrative Tools/Services was clear (although it was good to learn about that; I hadn't been aware of it). The program isn't listed in Add/Remove Program any longer, but I'm saving the tip about the uninstaller tool. I do use CC Cleaner, and I ran it again today. There were a number of Trusteer registry keys that I removed (and of course I backed up the registry). And Autorun--that's such a cool tool. I am delighted to have it. It's great that it shows you files that aren't doing anything, so I could get rid of them. I'm sure I could have deleted or unchecked more files than I did, but I was nonetheless able to uncheck a lot of files (including a couple of Rapport files). I *think* my system booted up more quickly after I did that. For some reason, my computer has decided that I don't have administrative rights to remove things from the start up using msconfig, and the wireless mouse I just got puts a battery monitor in the systray that I have been wanting to remove. I could get rid of it through Autorun. My computer is 4 years old now, so part of the slowness is probably attributable to that. However, it is faster than it was. Question or Comment: Hi, I would like to know if MalwareBytes removes Keylogger infections from my computer or any other e-mail password hack. My e-mail password was hacked from my computer. Therefore I would like to know if this will protect my from keyloggers. Thank you. Thank you for contacting me and sorry to hear about your e-mail account being hacked. Traditionally Malwarebytes is excellent at removing all types of Malware, except keyloggers and rootkits. If you have a copy of Malwarebytes, even the free or trial version, ensure it is fully up to date and run a Full scan of your machine. Also install something like Microsoft Security Essentials and run a full up to date scan. At the time of writing MSE is better at detecting and removing keyloggers than MBAM. Also consider running HijackThis (Opens New Window). This is particularly good at detecting keyloggers. For info, Malwarebytes are developing an Anti-Rootkit program which still hasn't been formally released, but is available in BETA format. I hope this helps. Let me know you you get on.